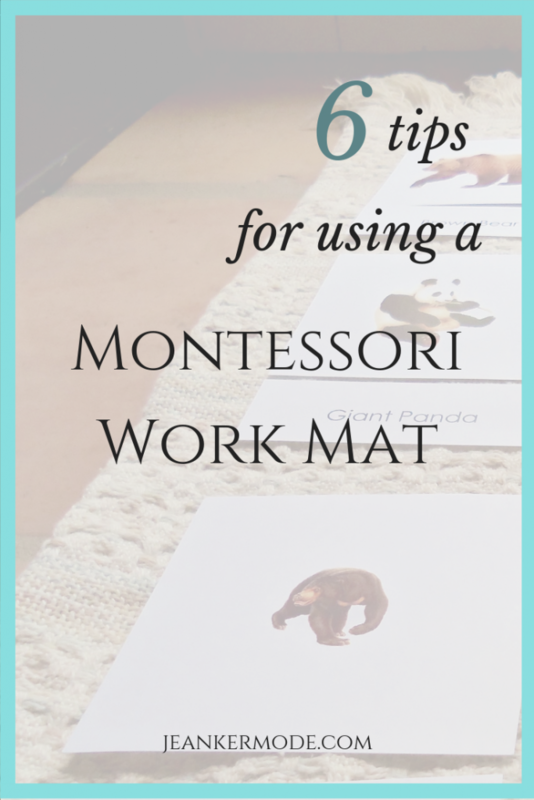 Learn the history behind the Montessori work mat and 6 simple tips for incorporating them into your home or classroom environment. The work mat: it’s a quintessential Montessori material. What’s the story, and why are work mats an important part of a Montessori prepared environment? When Maria Montessori was starting her work with children, there were some pretty intense desks in schools, even in kindergarten. These desks were designed to prevent spine problems in students who had to site for long periods of time at school. And so in her own schools, Maria Montessori did things differently. She had child-sized tables and chairs, light enough for the children to move. We’re used to those now. But she also let the children work on the floor if they so chose. The idea is to give children the freedom to choose where they will work and concentrate best. We all know those kids who can barely stay still in a chair. Sometimes these kids do much better sprawled out on the floor. And if that allows them to focus, it will help them develop the ability to be still. But Why the Work Mat In Particular? But the question still remains, why a work mat? Why can’t the kids just work directly on the floor? The beauty of Montessori is that it works with the natural inclinations of kids to help them develop good habits and self-discipline. It’s not just a do-whatever-you-want-method. And, not only do kids sometimes have a natural inclination to sprawl on the floor, but they also have a natural inclination to order. Really. It’s why they line up all their toys in a line down the middle of the living room or cry when you drive a different way home. External order helps them learn to understand and feel at home in this new world that is wonderful but still very wild. This is why work mats have a place in a Montessori environment. A work mat allows the child to work on the floor, and gives him an external ordering of his work space. He can’t strew his work all over the place, it must stay on the mat. It also teaches intention and discipline. He has to lay the mat out before he gets the material and put it away when he is done. Choose work mats that are attractive but one solid, light color. This way they won’t distract from the work. Use natural fabric for the work mats as much as possible, instead of synthetic. Work mats should be large enough for a good work space, but small enough for the child to roll up and carry independently. You can have multiple sizes. Designate a bin or a shelf for storing the work mats. Show your students, one at a time, how to carry with two hands, set out, (before bringing work) roll up, and put away a work mat. Explain what the mat is for, but use actions instead of words when showing them how to do the above. Show each child how to walk around a mat that is on the floor. Questions, insights, or stories? 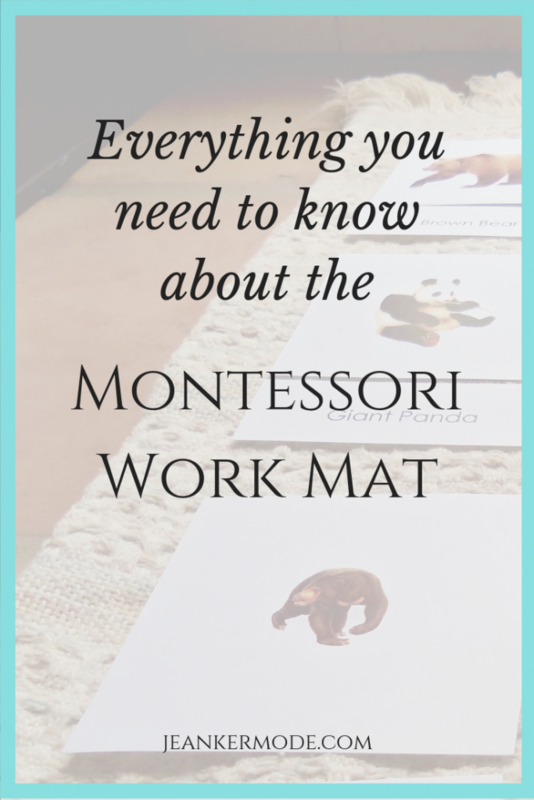 Have you seen the benefits of a Montessori work mat? Let me know in the comments!